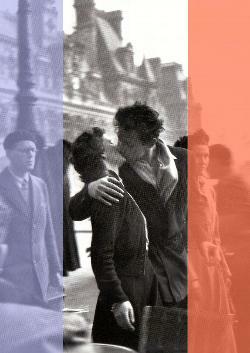 A wondrous, bittersweet love story set against the backdrop of the Parisian left bank and the Algerian war of the 1950s. OVO’s modern reworking of this little known classic will mix the philosophical musings of Jean Paul Sartre and Simone de Beauvoir with the smooth tunes of Edith Piaf, Jacques Brel and Yves Montand. Don’t miss the chance to see one of Shakespeare’s most rarely performed plays. MAKING Shakespeare accessible and enjoyable to audiences has been a speciality of St Albans drama group OVO since it was established eight years ago. Over that period the production team have honed their skills so that instead of being reticent at sitting through yet another Shakespeare production, audiences look forward to seeing what OVO can do with their latest choice from the Bard’s plays. And they are certainly not being disappointed by the current production, All’s Well That Ends Well, which OVO are performing at their new home high up in Pudding Lane, St Albans. From the moment Lucy Crick as Helena comes on stage and sings beautifully in French to the final resounding lines of Piaf’s Non, Je Ne Regrette Rien, this is delicious, entertaining and above all, fun Shakespeare. OVO, never known to perform Shakespeare traditionally – a relief to the many who find the playwright inaccessible in the 21st Century – have set All’s Well That Ends Well in the late 1950s in France and Algeria. It is a bold move which could have degenerated into a kind of ’Allo ’Allo but succeeds in bringing the story of the lovelorn Helena’s passion for the pig-headed Bertram alive. The production is interspersed with songs, many of them sung in French as well as English, and it is all credit to the cast that no-one lets them down on that front. OVO attracts some fine performers and the cast of All’s Well That Ends Well is no exception. Sue Dyson as the haughty Countess, Bertram’s mother, can say everything with a twitch of the eyebrow or a glance down her nose at another character and she uses that talent to great effect – as does Rob Ferguson as Bertram at the other end of the age spectrum. Alex Bell, fresh from a fine performance in OVO’s recent production Artist Descending A Staircase, makes the challenging role of Parolles the Dandy his own despite the difficulties that all actors experience putting over Shakespeare’s humour, and Peter Wood, a regular with OVO, is both threatening and hilarious as Lafeu. Matt Broad and Stanley Walton as the protegés of the King, the Dumain Brothers, are a first-rate double act and the ever-reliable David Widdowson gives gravitas combined with humour and humanity to the role of the King. Shakespeare himself would probably have enjoyed the scenes set in the Douk Douk in Algeria although by this stage the play wanders far from the original. In Linda Bagaini as the landlady of the inn, OVO has acquired a natural comic actress and gifted singer. To Lucy Crick falls the role of the rather strait-laced virginal Helena but by emphasising the contrast between her and the other characters, she is a pleasure to watch – and she sings beautifully too. All’s Well That Ends Well is directed by Adam Nichols and Imogen de la Bere who, together, have been responsible for most OVO productions. As ever, they do not disappoint and bring a magic and light touch to the play which the audience clearly appreciated.